Thanks to everyone for making MyRadar so successful, with over 45 million downloads! 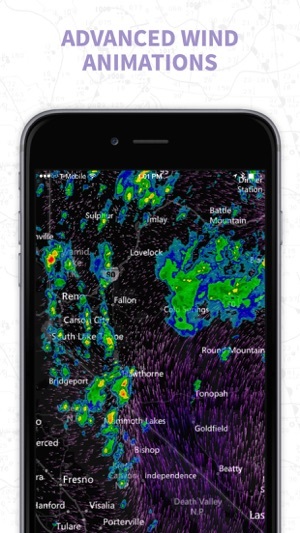 MyRadar is a fast, easy-to-use, weather application that displays animated weather radar around your current location, allowing you to quickly see what weather is coming your way. Our High Definition Doppler radar data is processed from raw NOAA weather radar data from the National Weather Service / NWS using our custom-designed, proprietary systems and software, offering the clearest, sharpest, most accurate and most up-to-date reflection of precipitation available... easily accessible at the tap of a finger on your mobile device. On top of the basic weather forecast, users can get a quick glance of temperatures around the country, as well as overlay a current satellite image of cloud cover. For you aviation buffs, there's a layer that provides AIRMETs & SIGMETs, and even the ability to overlay the flight plan of a particular aircraft onto the map. With an additional annual subscription that automatically renews, you can overlay the weather on top of VRF and IFR aviation charts. You can also share interesting weather photos from your area, and see photos other users have contributed neatly displayed on the map. This subscription automatically renews unless auto-renew is turned off at least 24 hours before the end of the current period. Your account will be charged $9.99 for renewal within 24 hours prior to the end of the current period. Subscriptions may be managed and auto-renewal turned off by going to your Account Settings after purchase. If you choose to purchase the Aviation Charts or Premium Features subscription, which are not required in order to use MyRadar, payment will be charged to your iTunes account, and your account will be charged for renewal within 24-hours prior to the end of the current period. Auto-renewal may be turned off at any time by going to your settings in the iTunes Store after purchase. The current subscription for the Aviation Charts and Premium Features starts at $24.95 and $9.99 USD per YEAR, respectively. Prices are in U.S. dollars, may vary in countries other than the U.S. and are subject to change without notice. No cancellation of the current subscription is allowed during the active subscription period. If you don’t choose to purchase the subscription for the Aviation Charts or Premium Features, you can simply continue using MyRadar for free. It's exactly what I expected and more as far as details reliability and ease-of-use. As much as I travel, this really gave me some neat perspectives of places that going without having to go online and find it. It's right at my finger tips. I have the free version and I know people are talking about the ads being a problem. Seriously? It's there but, so non intrusive. And, admittedly when you look at the app for the very first time you WILL feel daunted by it. All I say is (get ready to snicker) is play with it. You can't screw it up! Even if you do it's so easy to reset it and start from scratch and it's not tedious to get it to do all you want it to. Living here in Georgia and having so many friends in Florida trying dealing with (for those that stayed) and those who evacuated Hurricane Irma, it really came into it's worth with me being able to, in detail, see what the hurricane was doing and it's possibilities further down the line as it made its way to me. Believe me I AM NO WIZ when it comes to apps. But this is so easy and fun with all of the possibilities you can layer on. 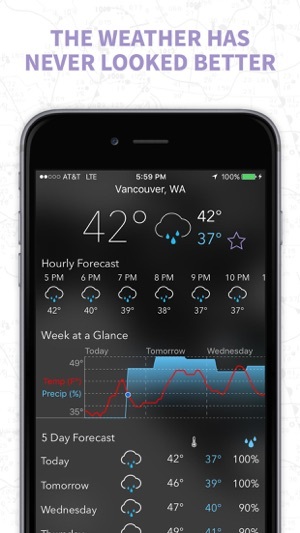 For example, you can add the details of how you want to see your weather in nearly every aspect. Couldn't recommend it more. I do not know the developer and was not compensated in any in order to give my review. 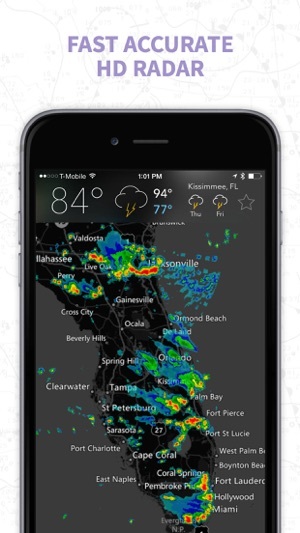 I have been looking for a weather app with an accurate radar and the extra tools to have a full understanding of what is really happening, this is it. With my background in aviation and flight safety using the professional package is money well spent. 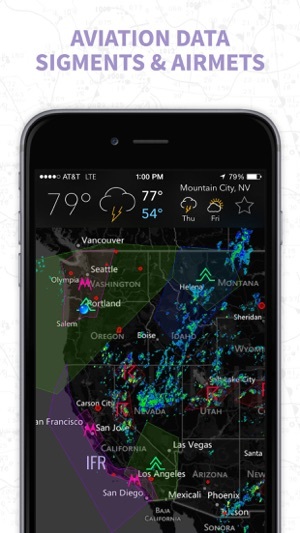 Having all the tools right at your finger tips, all the weather real time symbology, NOTAMs, layered cloud tops to icing levels, and warning areas sets this apart from any other weather app out there. 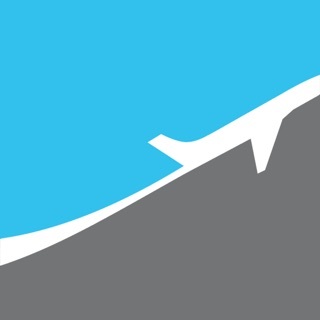 If you actively fly the subscription for the aviation maps would be the icing on the cake. Not only folks in aviation but many in other fields that weather directly effects your business would want this setup. Very glad to have found this app! I Miss the Old Storm app!! 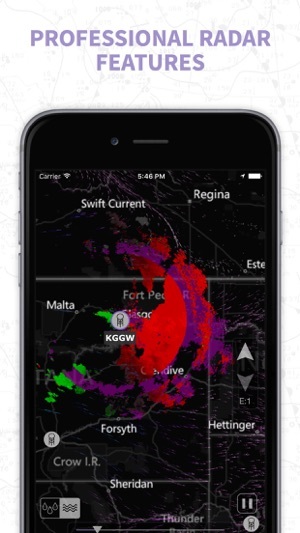 Is there a way to see the future radar like the old Storm app? Is that in the premium packet because my radar ends 10 mins before the actual time & I want to know the forecast radar for the next hour. Also, if I press on a fire icon & read about it, when I go bk to the map, the time on the animation slider becomes 8 hours off. I don’t think the actual radar changes. I only know that I have to close & reopen the app to get the time back to ending 10 minutes before the actual time. This makes me wonder if I can trust the accuracy of this app. Plus, it’s been raining here nonstop for 6 hours but the radar shows periods of no rain. It’s also really annoying when the slightest tap or zooming in on the map will start changing the cities up above because of the crosshairs. And when I swipe left, or right to scroll through my favorite cities, nothing happens- it won’t scroll through the cities even though the stars are highlighted. I miss being able to zoom in & see exactly where it’s going to be raining & being able to chose between 1 hour or 5 hours in the future & clicking on the storm cells & find out the speed & the danger associated with each one, as I could in the old Storm app. It truly was the best weather app out there! I will change my 2 star rating if I can find the future radar.